I completely forgot to share updates in April and May on my 2018 Action Plan. There have actually been many positives so I’m happy to share with y’all. Here is my combined April and May Action Plan Update! I have been cooking more. I have made efforts to make one large batch of something on the weekends and use that as a base for lunches and dinners throughout the week. As we move into summer, my schedule is MUCH busier and cooking becomes more of a challenge – but also a bit easier in ways because summer produce is just so delicious and fresh. This has definitely been a positive couple of months on the cooking front. I have found a new church! I’m very excited about this. I have been going to The District Church – in NW DC. I’m still very new and working on getting plugged in. It is hard to go from knowing just about everyone at church to knowing literally no one – it’s an odd experience. Kind of like being the new kid again in school. Luckily, I was the new kid my whole life (3 high schools, 2 states, y’all!) so I’m okay with it. My marathon is next week! I am both shocked and relieved that the time has come. It took forever and flew by all at the same time. I think that’s pretty normal, though, right? I have lots of training recaps up on the blog you can check out – but the overall gist is that I had a great training cycle with a fair number of not so great runs / races mixed in there just to keep me humble. I am hopeful for good weather and a good day but I know that the marathon is unpredictable. I’m hoping the work I’ve put in is enough for a breakthrough race. Here’s hoping! Finally – I’m continuing to tackle my consumer debt. I’ve also been extra intentional about my investing and I am really happy with how that is playing out. I’m considering making some changes to free up extra cash to throw at my debt – more on that in the future (if I decide to downsize, that is). 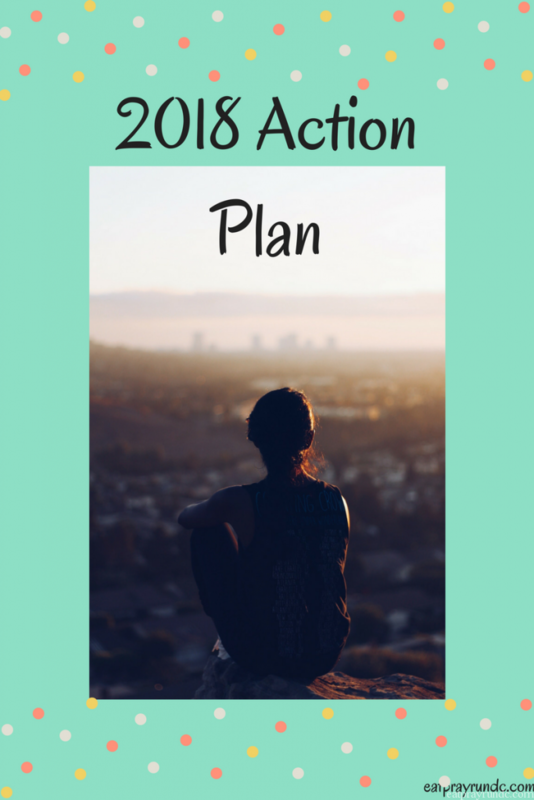 How are you doing with your action plans / goals / resolutions? It sounds like you are doing great with your goals! So excited for your marathon! I can’t believe it’s basically here!! Your marathon really is almost here! I hope the taper is going well. It’s good that you’re succeeding with your other goals too- we are aggressively paying off student loans over here, but no consume debt really (mortgage and Clay’s car payments, which will be tackled after the loan debt is). Paying off ANYTHING feels so good though. Thanks Amy Lauren! And yes, paying off debt is definitely a great feeling!